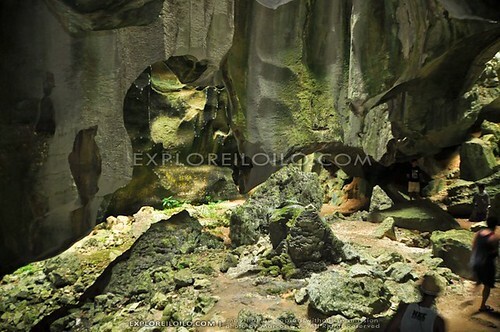 Pawikan Cave is a must-see attraction whenever visiting Isla de Gigantes Sur in Carles, Iloilo. 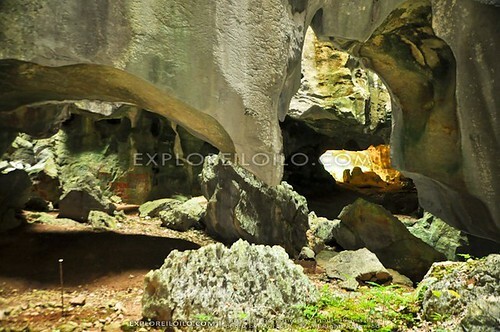 Upon entering the mouth of the cave, visitors are greeted with a huge entrance chamber and the sight of spectacular rock formations. 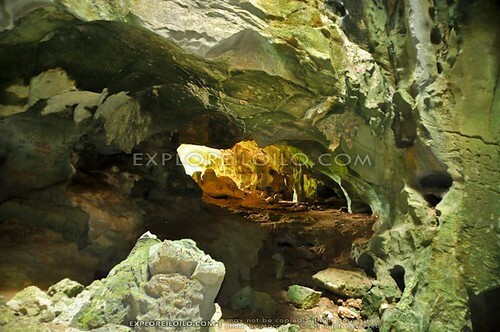 There are numerous cave chambers further inside the cave that are aptly lit by atriums (or openings) at the cave ceiling. The unique subterranean views evoke an other-worldly feeling. 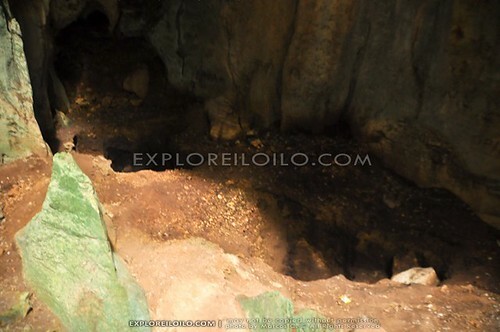 A talk with the local guides would reveal how their elders would often tell them not to go inside as not to disturb the “spirits” living in Pawikan Cave. 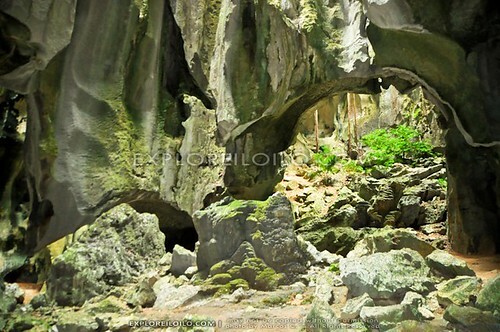 Pawikan Cave is located at the southern side of Isla de Gigantes Sur. 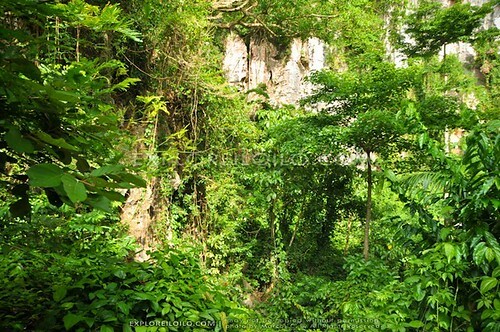 It can be reached by conquering a steep cliff and entering a forested area on top. The hike is very steep, which will be a challenge for most people. The incline is around 45 to 70 degrees and 200+ft high. 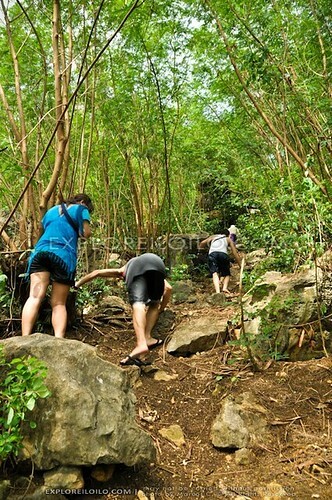 Visitors are advised to take extra precaution when climbing the hill, especially if the trail is wet. 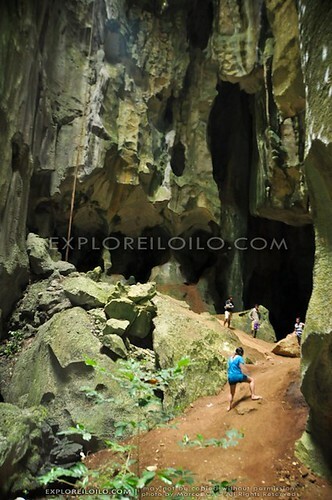 From the starting point at the seaside, it takes 30 minutes to an hour to get to Pawikan Cave. 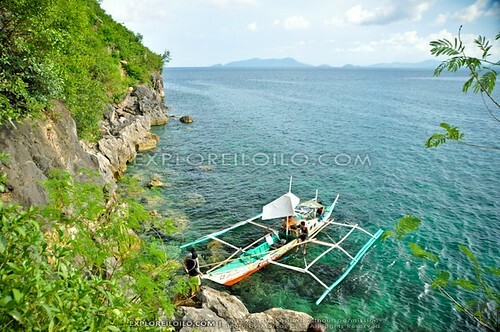 The starting point itself is approximately 30 minutes (by pumpboat) from Brgy. Lantangan. 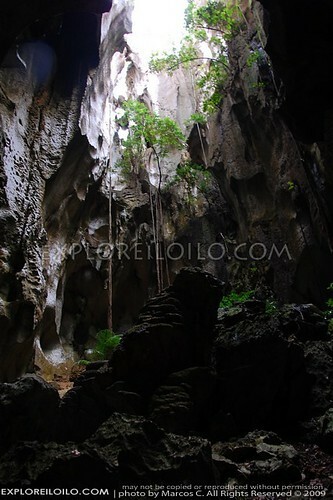 One of the cave atriums and steep limestone wall inside Pawikan Cave. 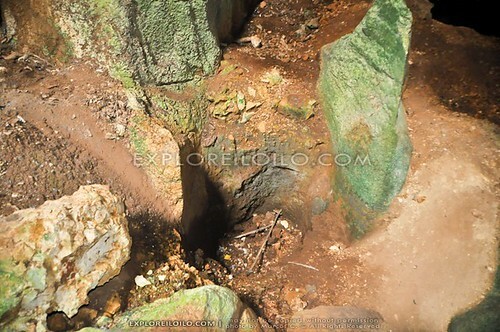 Large holes found one of the Pawikan Cave’s chambers, where the large egg-shaped rocks used to sit. 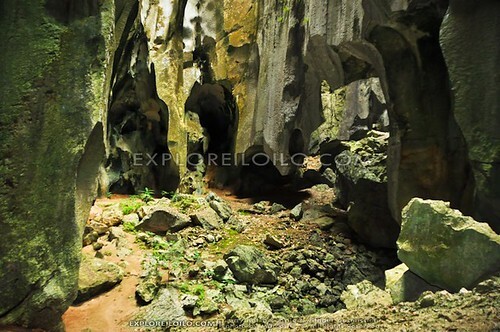 i was there last day May 7, 2017 at pawikan cave, i see the beautiful of the cave, but can destructed my attention was i saw vandalism in different parts of the cave, i was call the attention of local tourism of carles just help local people how to protect the pawikan cave. Ayus tlaga dito. 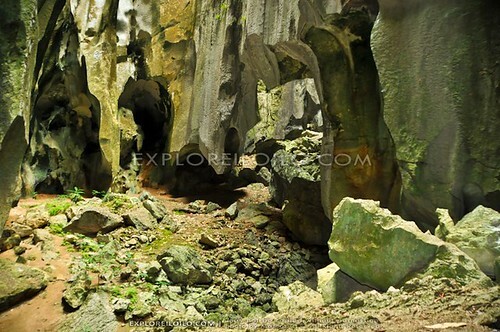 pramis, effort yung pahirap sayo papunta sa loob ng pawikan cave, unfortunately some greedy outsiders took mother nature in to their own maleficent agendas bcoz of the gold, but otheriwise it’s still such a beautiful experience and view, not to mention the fulfillment of conquering your limits. 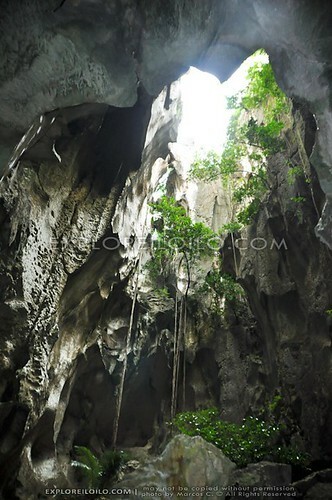 soooooooo beautiful place, a beautiful life… mur2s.. ta lakat na ta to!